Do you welcome new ideas and embrace challenge? Are you an aspiring performer? An innovative composer? Our music program is a highly specialized set of courses for performers and composers. We value hard-working, talented and experimental students and, in exchange, we support your learning in a creative and nurturing environment. Our four-year curriculum is designed for you to become an expert in your chosen field whilst critically evaluating your progress and challenging you to fulfill your individual potential. The Vocal program has an excellent team of instructors. Their goal is to ensure you develop your individual voice and become the best singer you can possibly be. Classes are for auditions, performance skills, and vocal pedagogy. 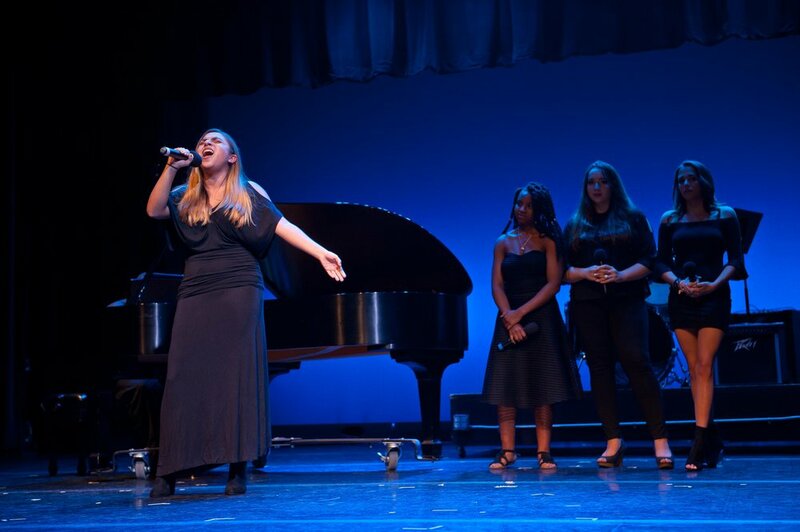 The Vocal program is busy and challenging, working in an atmosphere of varied inspiring performances and with each singer, perfecting your craft, yet also finding the emotional honesty, which lies behind truly great singing. LIHSA’s digital music program prepares students within a landscape of rapidly evolving tools and techniques. Through in-studio classroom experience, hands-on project work, and exposure to visiting industry professionals, you learn to collaborate effectively with others in numerous musical settings through participation as an engineer, composer and producer.